Happy Labour Day Weekend! 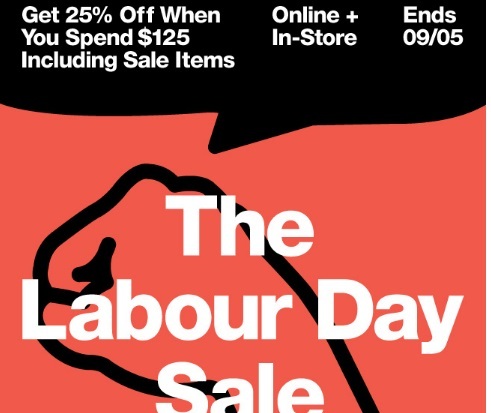 American Apparel is offering 25% off when you spend $125 or more including sale items with the promo code below! Enter the promo code WORKIT at checkout. Offer is valid online and in-store until September 5, 2016.